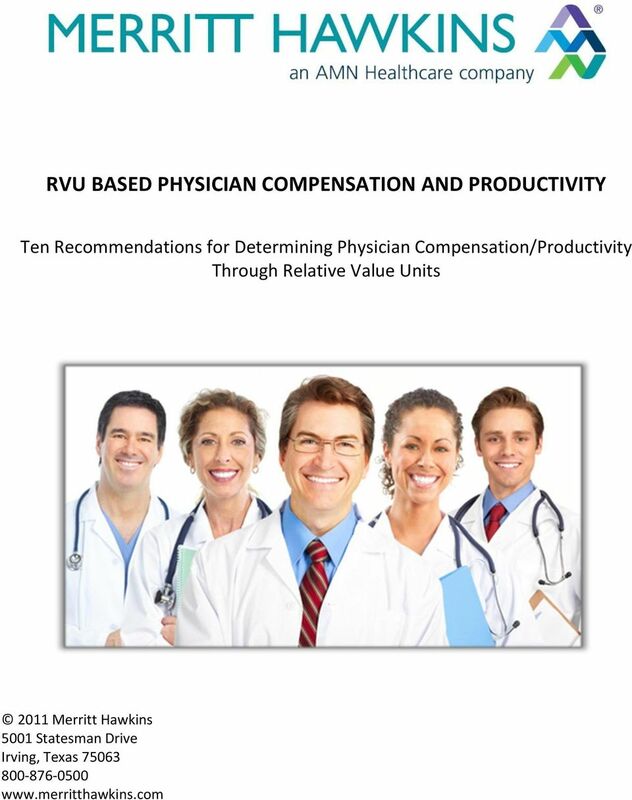 Download "RVU BASED PHYSICIAN COMPENSATION AND PRODUCTIVITY"
5 or more tiers, so as the practice becomes more profitable, the physician receives a greater percentage of that margin. 9.) Be aware of political risk and the key entities influencing RVU values. The AMA owns the copyrights for the CPT code and receives approximately $70 million annually from charging a license fee for those wishing to associate RVU values with CPT codes. The codes are periodically amended by the CPT Editorial Panel and their use is required by statute. The RBRVS system is based on the CPT code and the RBRVS system is mandated by CMS. This system is unlikely to be replaced any time soon. 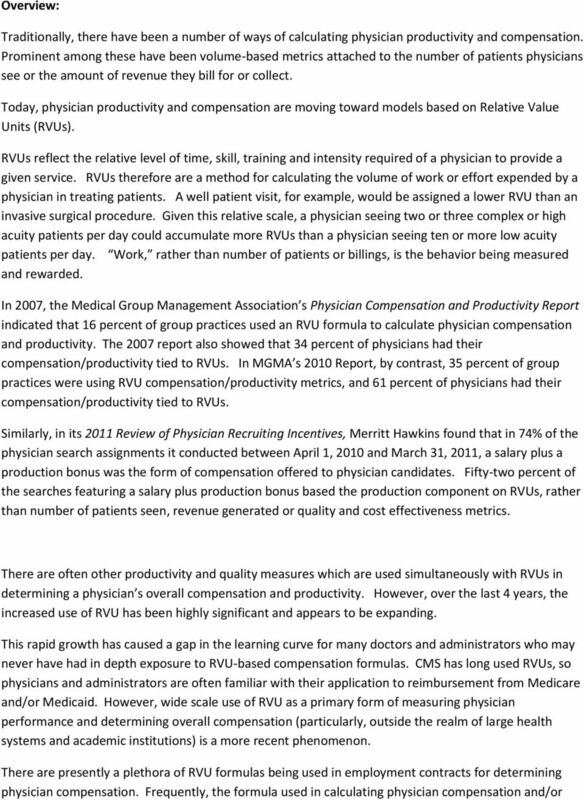 Nonetheless, the 29-member Relative Value Update Committee (RUC) is mainly a privately run regulatory committee that must maintain budget neutrality when modifying Relative Values, and their meetings are closed to the public, so paying physicians based on RVU Productivity will always have a level of uncertainty, just like any other compensation model. 10.) Remember there is a shortage of physicians and doctors seldom relocate their practices and their families without having an attractive financial guarantee. It is still necessary to have an established base salary set at fair market value. 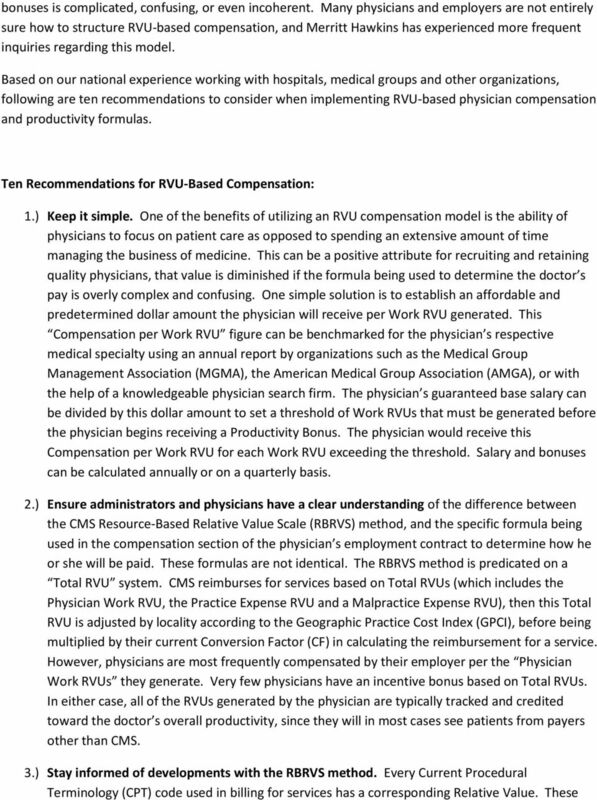 Numerous RVU models are structured in a way that reduces or eliminates the base salary after the first or second year, with compensation based solely on productivity after that. This can be accomplished by having a rolling quarterly reconciliation with the subsequent three month salary paid at whatever the previous quarter s production warrants. Physicians can be leery of this, and it may inhibit recruitment or retention, but it also establishes a system allowing for the doctor to work long-term in a stable environment with their personally desired volume of patient interaction. It can also decrease a physician s potential concern regarding termination for failing to meet targets they deem unrealistic for their style of practice. The demography of practicing physicians is changing. There are significant numbers of doctors looking to slow down either because they are in the later stages of their careers or because they place a greater value on their schedule and quality of life. Having flexibility in a compensation structure can be a perceived benefit if it is explained and positioned appropriately. 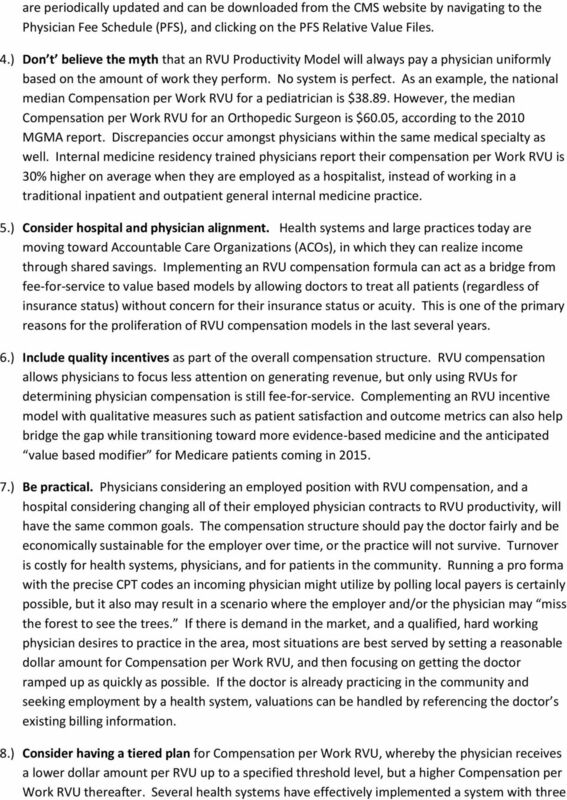 The key with RVU and other forms of physician compensation is to structure a formula that fits the culture of a particular practice or medical staff. 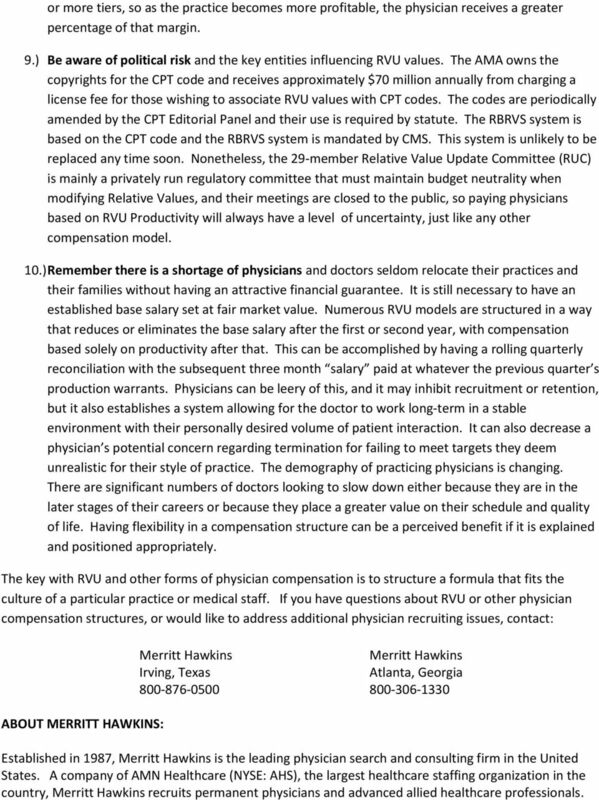 If you have questions about RVU or other physician compensation structures, or would like to address additional physician recruiting issues, contact: ABOUT MERRITT HAWKINS: Merritt Hawkins Merritt Hawkins Irving, Texas Atlanta, Georgia Established in 1987, Merritt Hawkins is the leading physician search and consulting firm in the United States. A company of AMN Healthcare (NYSE: AHS), the largest healthcare staffing organization in the country, Merritt Hawkins recruits permanent physicians and advanced allied healthcare professionals. 1. How do I calculate the reimbursement rate for medical services and treatment? SHM Roundtable Physician Compensation and Incentive Plans December 9 th, 2010 Dan F ller President & Co Fo nder Dan Fuller President & Co-Founder IN Compass Health Discussion How important is compensation? Physician Compensation Planning: Beyond the Basics. Copyright 2014. Medical Group Management Association (MGMA ). All rights reserved. Billing and Coding in Neurology and Headache Stuart B Black MD, FAAN Chief of Neurology Co-Medical Director: Neuroscience Center Baylor University Medical Center at Dallas Can Your Practice Pass An Audit? 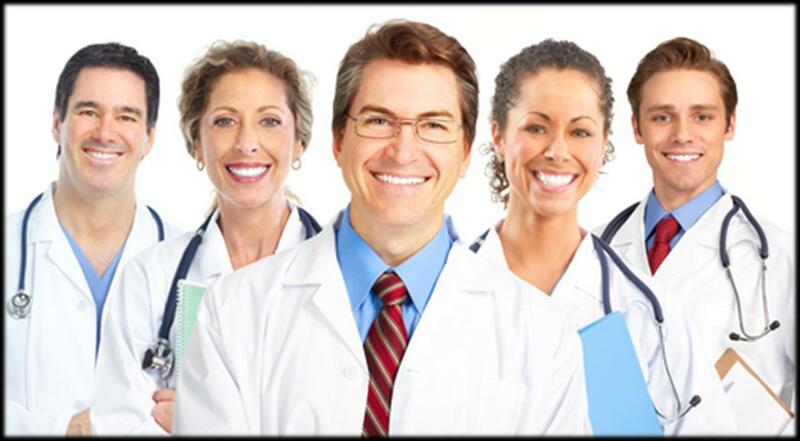 About MGMA Our mission To continually improve the performance of medical group practice professionals and the organizations they represent Impact of Healthcare Reform on Pediatric Practices William F.
December 2008. Outsourcing, Enablement, Enlightenment. John R. Thomas President and Chief Executive Officer MedSynergies, Inc. THE FUTURE OF QUALITY HEALTHCARE: ACO S???? ?